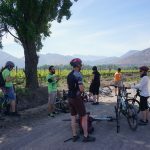 As part of our recent Patagonia trip, we spent a couple days in Santiago to break up our long journey. 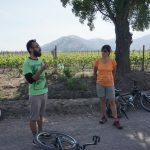 Because of this, we decided to make the most of our time and we went on a cycling wine excursion through Chilean wineries in the El Maipo Valley. 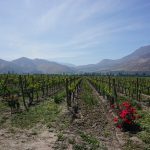 The El Maipo Valley is one of the largest and most important wine producing regions in Chile. As a result, the region produces popular wines like cabernet sauvignon, merlot, carmenere, and sauvignon blanc. 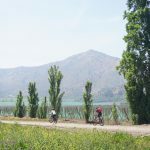 During this excursion we cycled through three wineries; one of these was an organic vineyard. 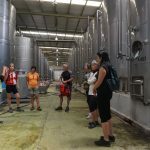 We then stopped at one of the vineyards to learn about the wine production process. 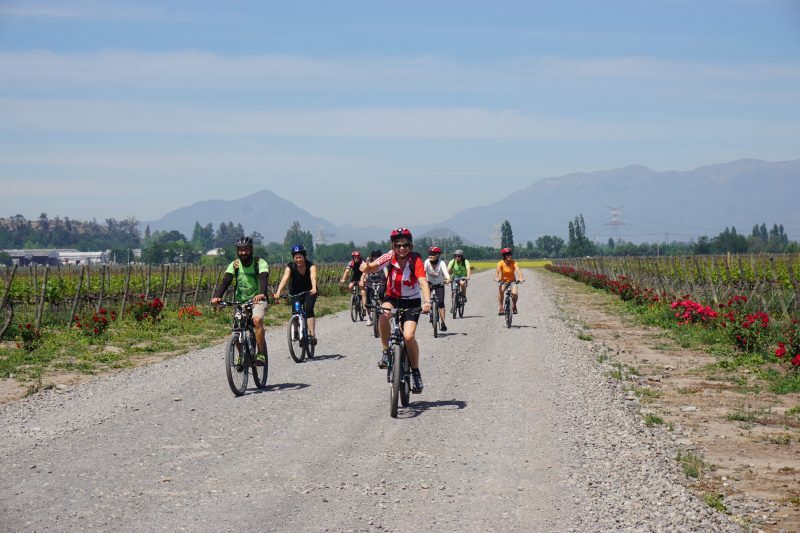 Following this, we continued on to one of the oldest vineyards and cellars in Chile. 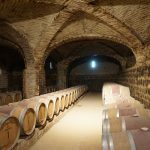 It was fascinating to see this cellar that was build in the early 1800s. From there we finally had a chance to taste some of the fantastic wines produced at these wineries. 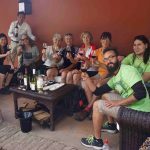 Although it was not a strenuous cycling trip, but the group was happy to get on to the tasting! 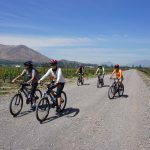 This cycling wine excursion was a fun and active way for our group to get to know one another. 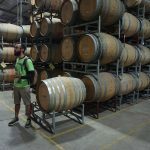 Finally we get to taste some wine!